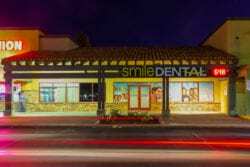 Smile Dental Group is your dental home for the comprehensive care and maintenance of your natural smile. Our offices serve patients of all ages in the Antelope Valley, from routine preventive dental care to advanced treatment options for your specific needs and goals. All members of our dental team are committed to continuing education in all aspects of dental care in an effort to provide the best possible patient experience and predictable results. Routine dental care is the foundation for a lifetime of healthy smiles and your best quality of life. The team at Smile Dental Group takes a personalized approach to your oral healthcare, taking the time to get to know you as an individual and to understand your unique risk factors for common dental concerns. A cosmetic dental treatment can boost your smile confidence and improve your overall oral health in the care of a highly trained and experienced cosmetic dentist. Smile Dental Group uses advanced technology and the highest standard of care and materials to help patients achieve the smile they desire while supporting their long-term oral health. Smile Dental Group offers comprehensive diagnostics and care for more complex dental problems affecting the structure, fit or comfort of the bite. From tooth damage to tooth loss, restorative dental treatments to meet your needs are available in all of our Antelope Valley dental offices. 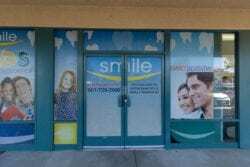 Smile Dental Group welcomes new patients from many local communities to any of our three convenient dental offices in the Antelope Valley. To schedule an appointment with one of our dentists in your local Smile Dental Group office, contact us or use our online request form.